The Sociology Department is pleased to announce an event to celebrate the life and intellectual, political, and personal legacy of Professor Emeritus Jim O’Connor. Taking place in June 2018 in Santa Cruz, these commemorative events will gather alumni and colleagues to celebrate Professor O’Connor’s central role in two major international journals, and his wide-ranging and influential work--from Cuban fiscal policy to political ecological crisis, and from a powerful critique of capitalist individualism to a reworking of historical materialism around cooperation as both force of production and production relation. Professor Emeritus Jim O’Connor, a native of Newton, Massachusetts, and longtime resident of Santa Cruz, passed away at home with family at his side on November 12, 2017. 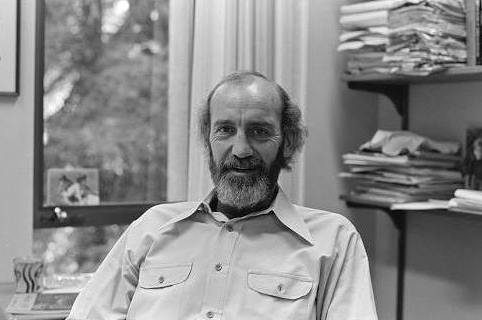 After earning a PhD at Columbia University and working at both Washington University and San Jose State University, Professor O’Connor was one of the first faculty members appointed in the mid-1970s to initiate the Sociology PhD at the University of California, Santa Cruz. He was an intensely driven, passionate, and creative scholar-activist, intellectual, and friend, who lived each day of his life according to deeply held principles of social justice and revolution. His work has been translated into and debated in dozens of languages all over the world, and his contributions to the understanding of the workings of capitalism and the state have been monumental. After retiring from the Sociology Department at UCSC, he co-founded and served as Editor-in-Chief for the international journal Capitalism, Nature, Socialism: A Journal of Socialist Ecology, and as director of the Center for Political Ecology in Santa Cruz. His extraordinary legacy, contributions to sociology, and revolutionary spirit live on, and will remain as sustenance and inspiration for new generations of scholar-activists everywhere.